Anthony (TJ) Schwartz Jr is a native Montanan and was born and raised in Dearborn, Montana. Though TJ lived in the Dearborn area he car-pooled with his mother fifty five miles to Helena every day to attend Helena High School. TJ received his bachelor’s degree from Montana State University. Initially TJ pursued a degree in Pre-Medicine, though after taking an introductory programming course as an elective decided to change directions and pursue a degree in Computer Science. In December of 2016 TJ graduated with honors with a Major in Computer Science and a minor in Psychology. TJs first involvement in the Helena community was as a volunteer certified nurses aid (CNA) for the surrounding retirement homes of Helena. While not performing his daily tasks, TJ enjoyed spending time with each resident often listening to their individual stories and many experiences. TJ learned that many times the people around us have advice into solving the many problems we face each day. TJ realized through the CNA opportunity that we are stronger as a community than as an individual. In the last semester of TJs college career, he spent most of his time on flights all over the country interviewing with various companies. While many of these interviews promised very lucrative careers they all left Montana behind. In each trip TJ found himself missing his home state more and more. TJ decided that he would not be leaving and focused efforts on staying in Montana. 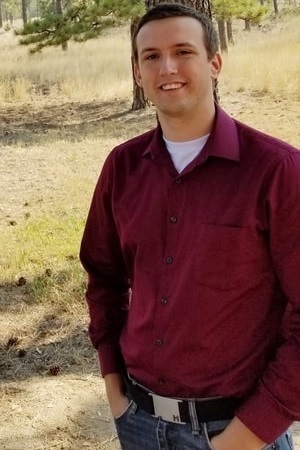 While searching for employment TJ worked as a Network Security specialist on contract for the state of Montana in the department of health and human resources. Towards the end of TJs contract for the state TJ was contacted by Dallas Fischer president of DFman Enterprises. Dallas presented TJ with an opportunity to do exactly what TJ had sought out to do. Stay in Montana, help the community of his hometown Helena, and use the knowledge and skills gained from college. TJ lives back in Helena with his wife, Alisa. TJ and Alisa are active outdoors enthusiasts who enjoy hosting paintball events, going on the many hiking trails surrounding Helena, and training their rock climbing skills.